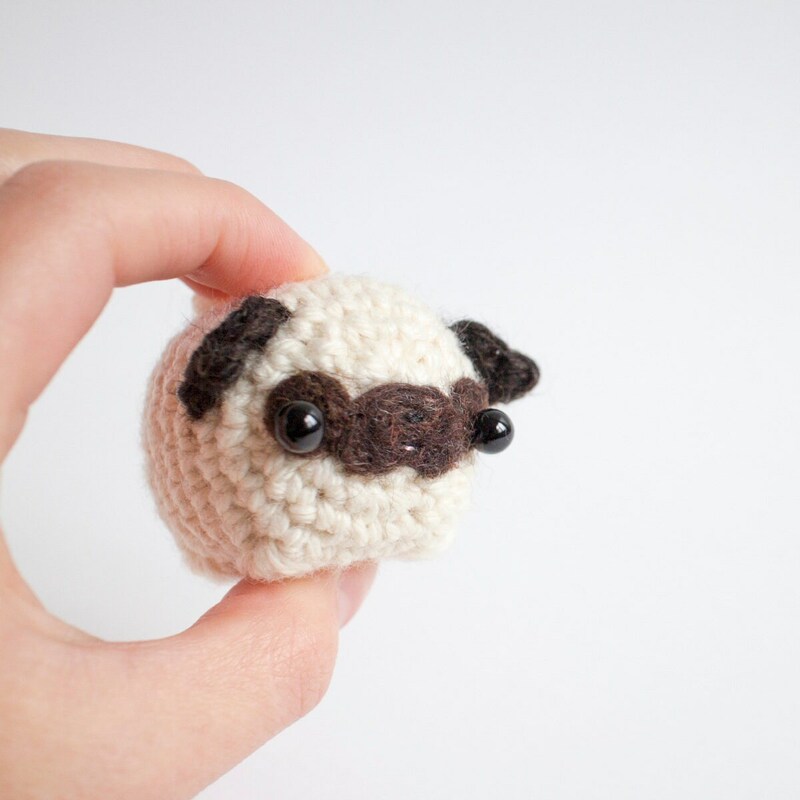 Here is a very squishy little pug dog. 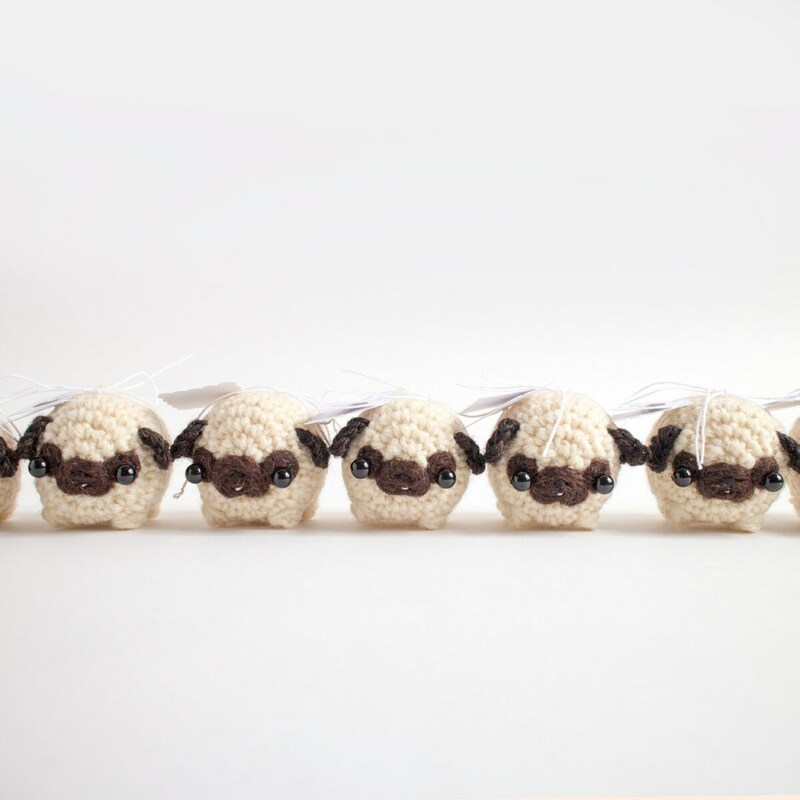 Mini pugs are lovely gifts for your pug-loving loved ones. 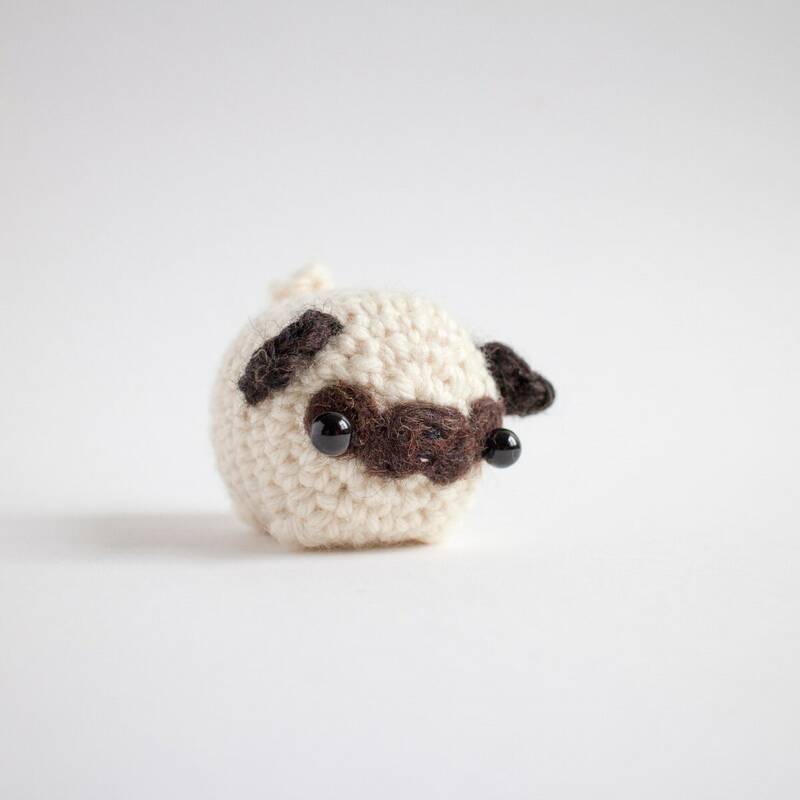 This pocket-sized pug plushie is nice to squeeze. 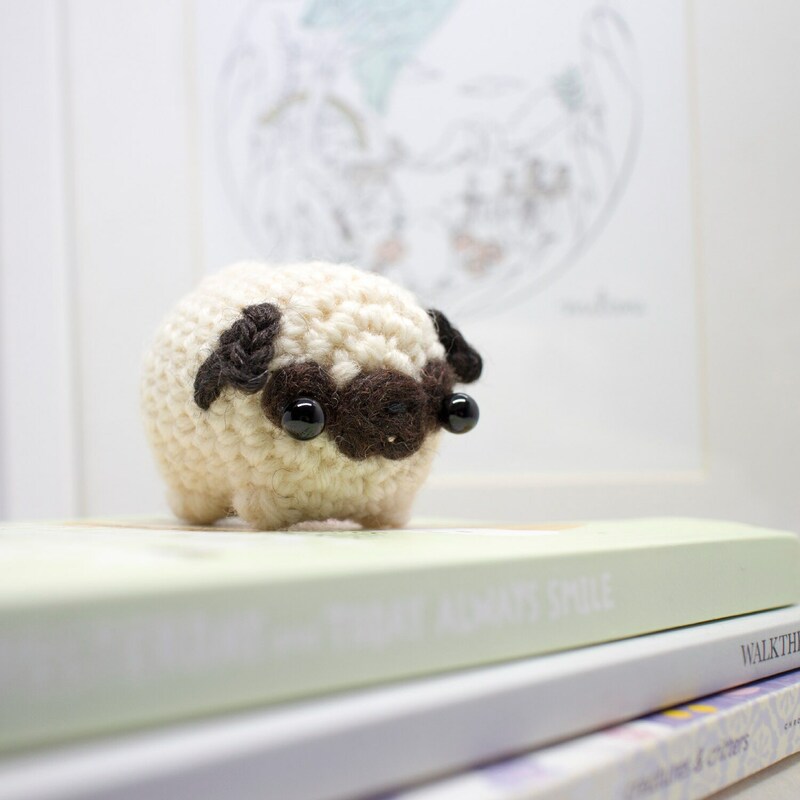 It will look great on a shelf or desk, especially amongst your other pug paraphernalia. 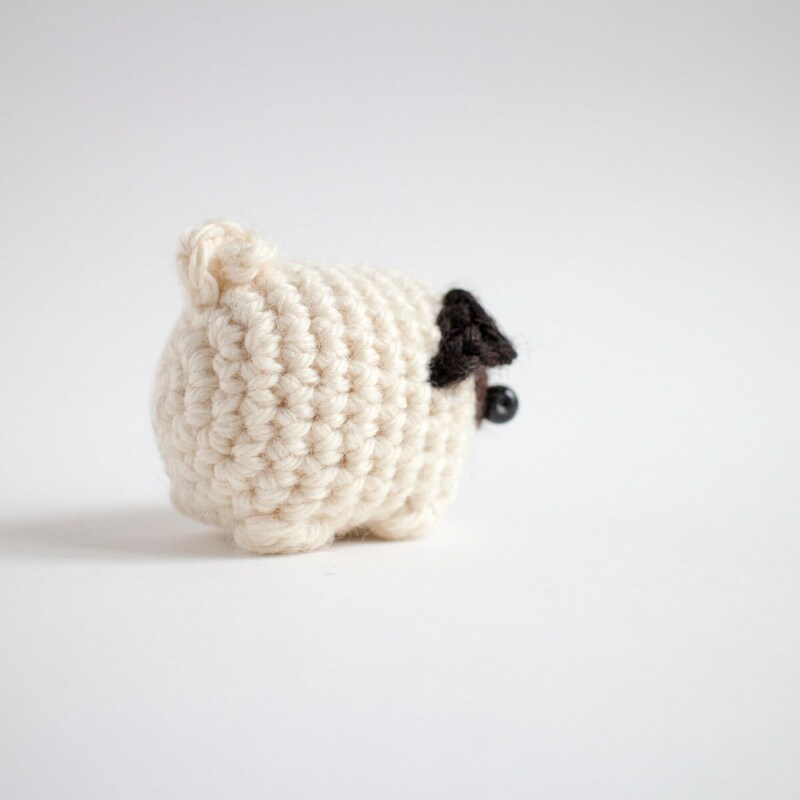 Your pug loaf can be served plain, or made into a keychain or hanging ornament. 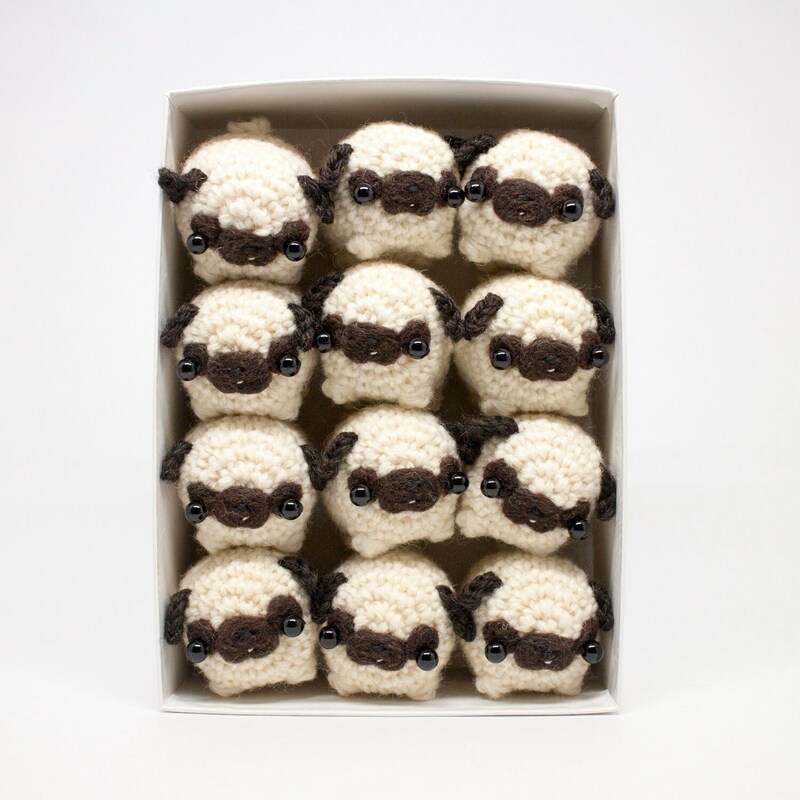 Size: 5 cm (2 in) long, and 4 cm (1.6 in) wide. 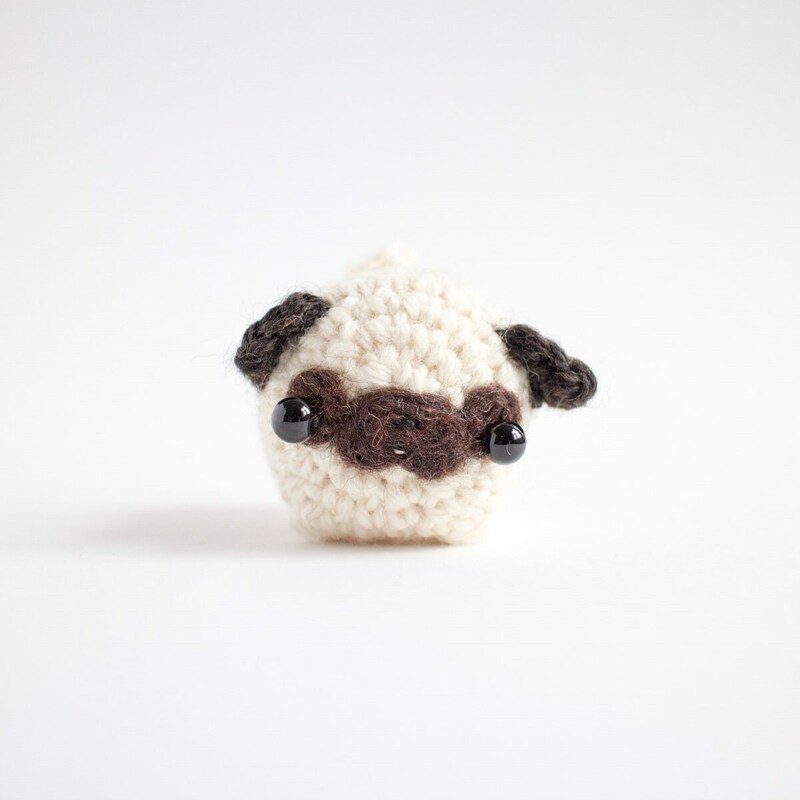 This amigurumi pug is carefully crocheted using 100% wool yarn, and filled with hypoallergenic stuffing. 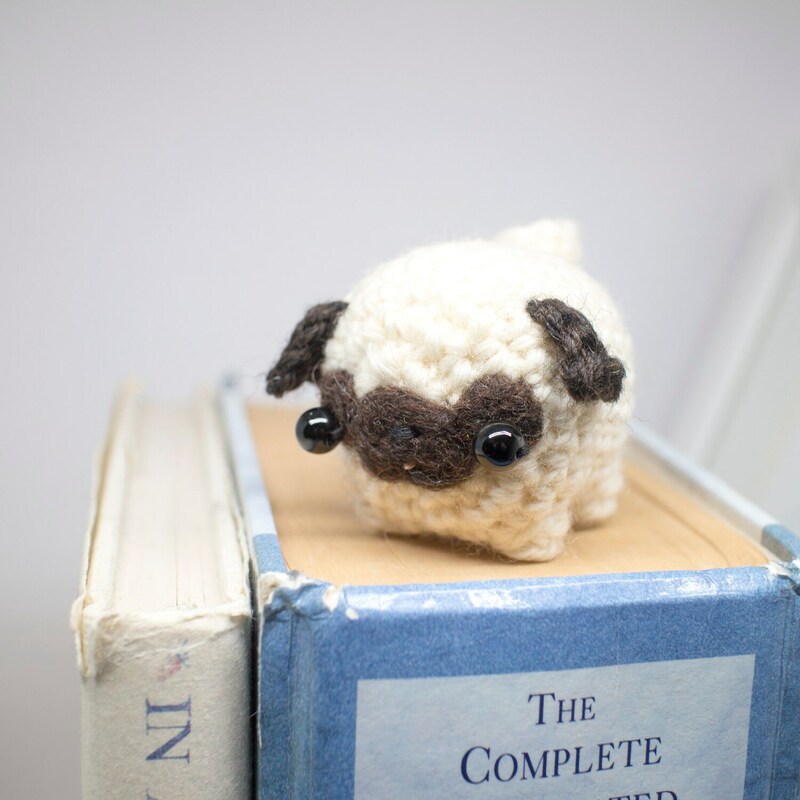 The face is added using needle felting techniques, with embroidered details and glass beads for eyes. 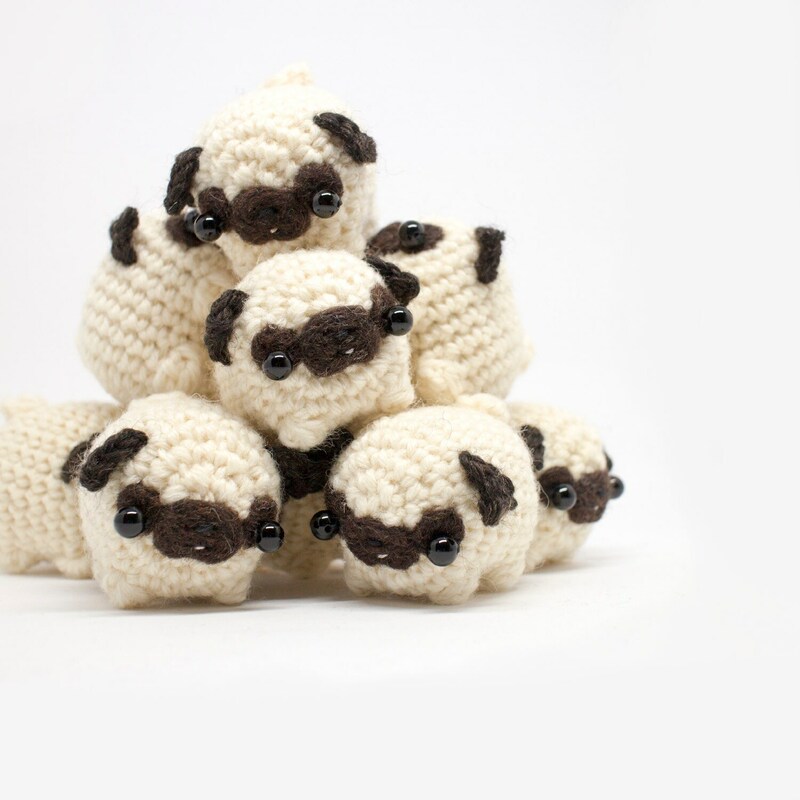 Pug is intended as a collectable wool sculpture, and shouldn't be used as a child's toy. Packaging was too cute! And the pug was adorable!!! This is a lovely item that came in a lovely package. Very good communication and service. Highly recommended!